Marvel fans of Columbus! Assemble for this live, action-packed, legendary battle to defend the universe from evil. Spider-Man, the Avengers and the Guardians of the Galaxy join forces with Doctor Strange, master of the mystic arts, in a race against time to recover the Wand of Watoomb before it falls into Loki’s hands. This ancient artifact holds immeasurable mystical power and would allow Loki to achieve his eternal quest to crown himself ruler of Asgard and Earth. This all new show unites some of Marvel’s greatest Super Heroes including Iron Man, Captain America, Thor, Black Panther, Hulk and Black Widow against some of the most threatening villains. Witness cutting-edge special effects, aerial stunts and video projection in this incredible adventure. 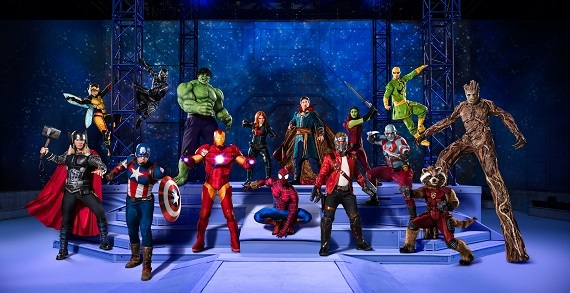 Fans of all ages will be immersed in the Marvel Universe and experience it all with their family…LIVE! at the Schottenstein Center on September 27-30th!